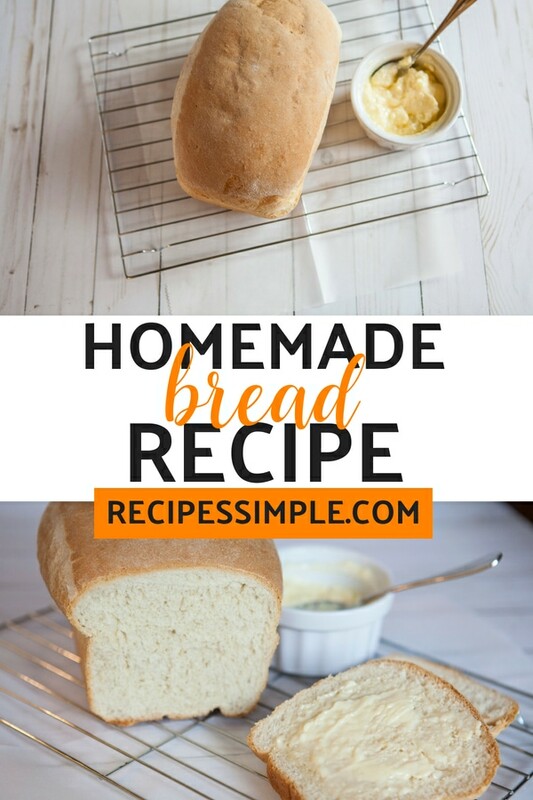 This homemade bread recipe is started in your bread machine and then baked in the oven for a perfect homemade bread that is fluffy. 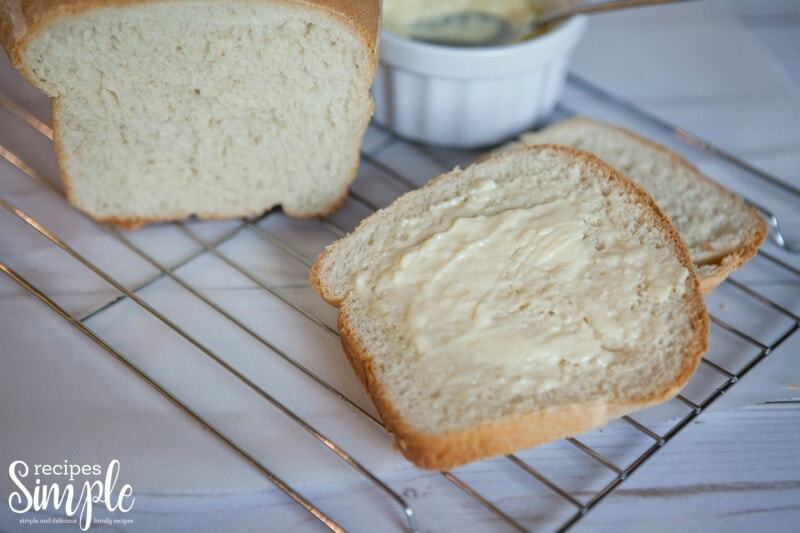 This bread tastes amazing and is perfect to serve up as a side for dinner, make a sandwich or eat a slice as a snack. 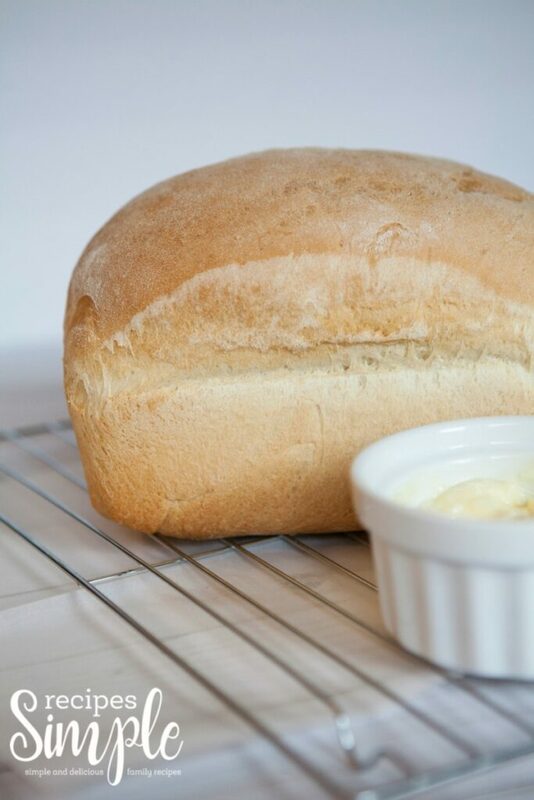 You will love this bread recipe that uses basic ingredients to make. Scroll down for the printable recipe. 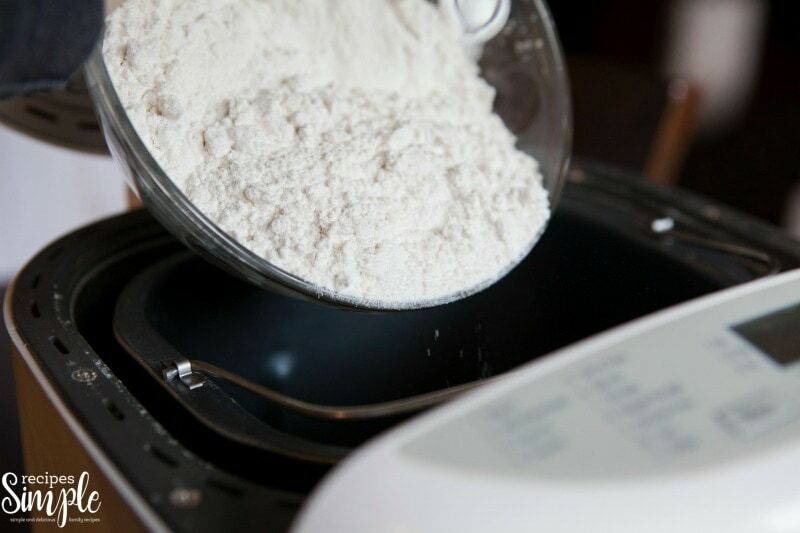 Using your bread machine to prep and make the dough saves you a lot of kneading and work. 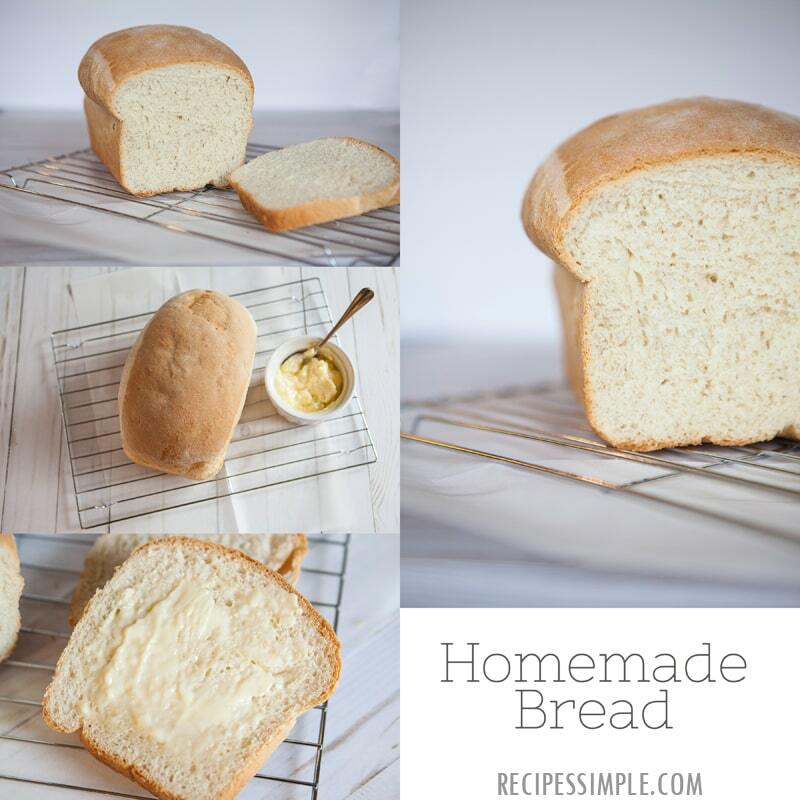 In return you get that perfect homemade bread every single time. 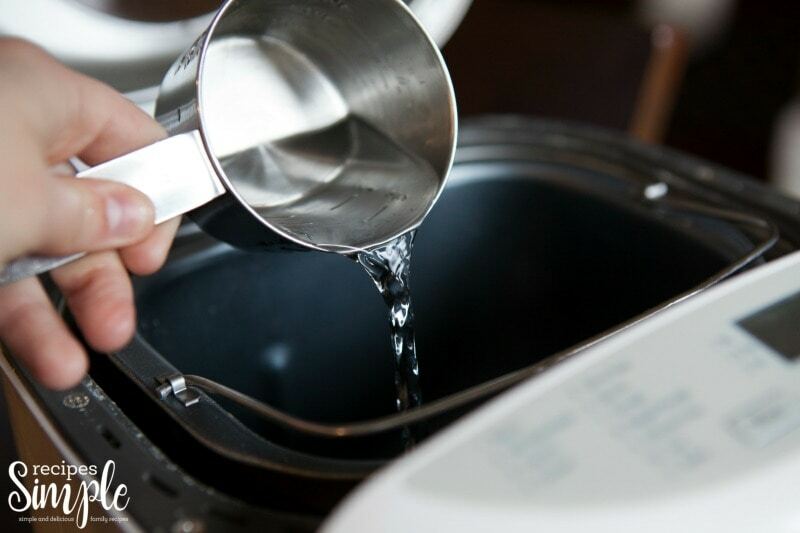 First, start by pouring your water into your bread machine. Next, add in your flour and salt. Make a hole in the center of the flour mixture. Then pour in your sugar and yeast. 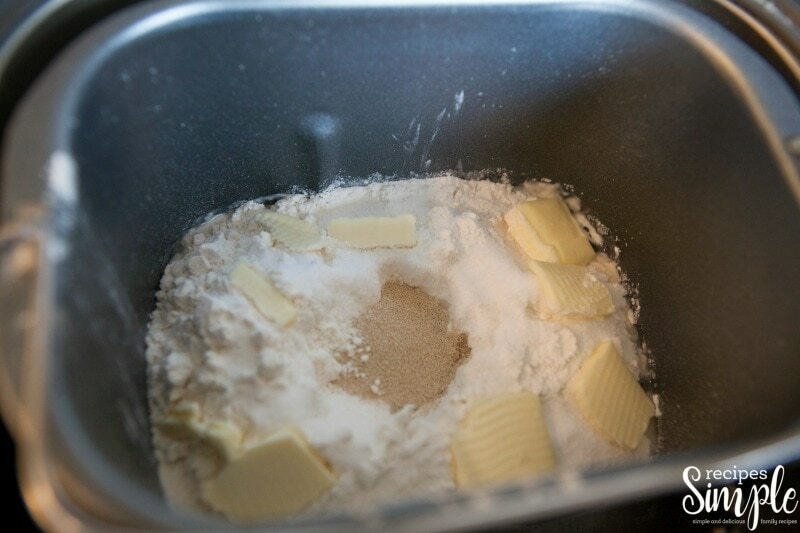 Place butter all over the top of the flour. 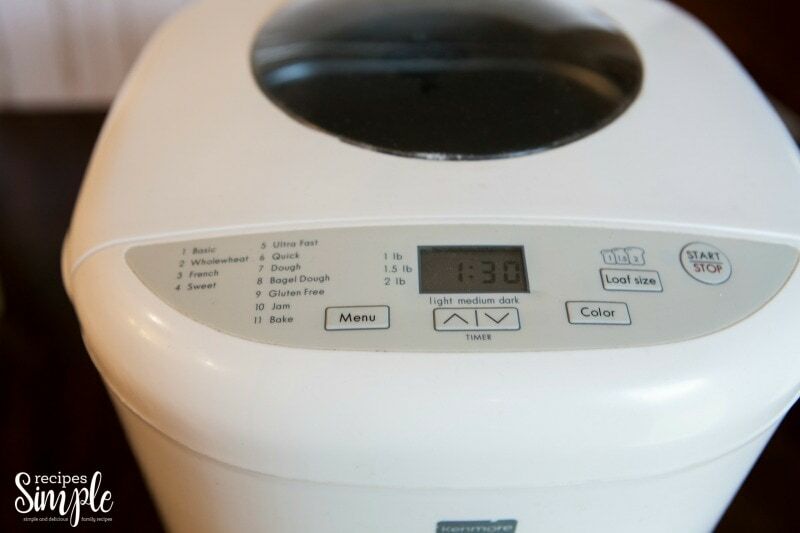 Turn your bread machine to the dough setting. Then once it fully rises take it out of the machine. Lay it out and knead the dough for just a minute or two. It just needs minimal needing to come together and form a ball. 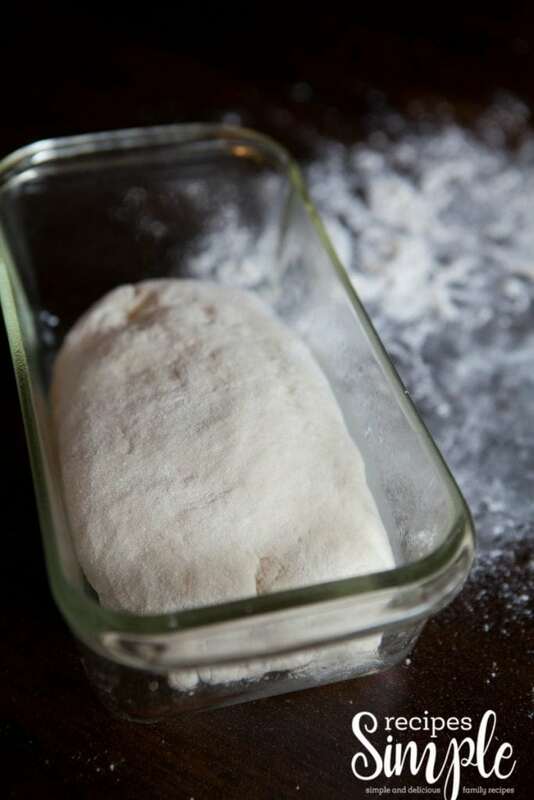 Form your dough into your bread pan, let it rise for one hour. It will double in size. Bake for 35 minutes in a 350-degree oven. Let it cool in the pan for a few minutes, and then fully cool on cooling rack before slicing. 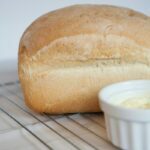 This homemade bread recipe is made in your bread machine and then baked in the oven for a perfect homemade bread that is fluffy. 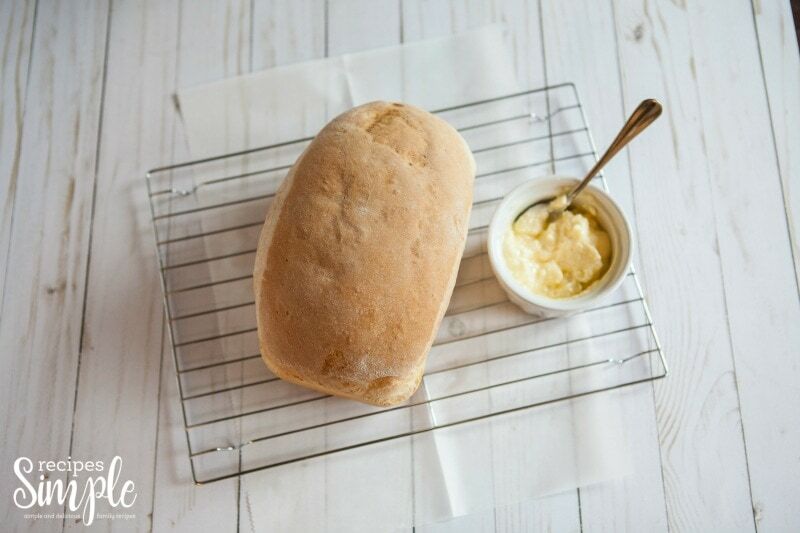 This bread tastes amazing and perfect to serve up as a side for dinner, make a sandwich or eat a slice as a snack. Pour warm water into the bread machine pan. Add flour, salt and butter. Make a hole in the middle of the mixture and pour sugar and yeast into the hole. Set machine to “dough” setting. 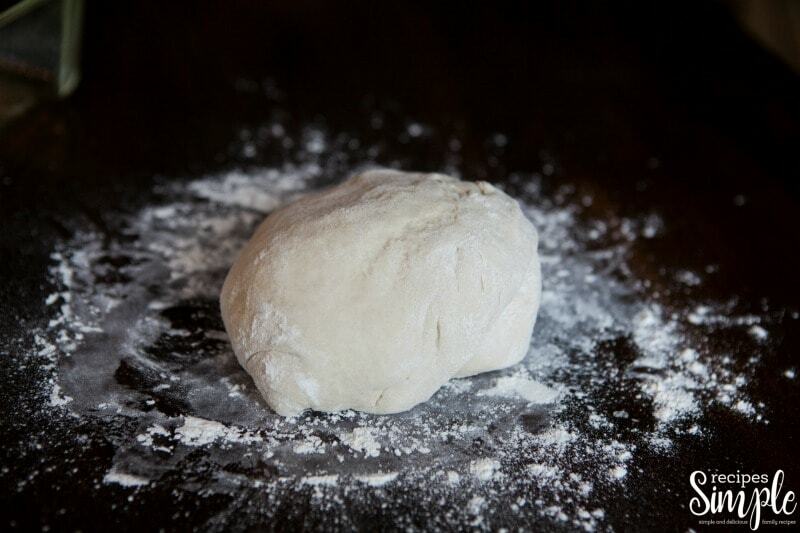 Layout on a floured surface and knead the dough for a minute or two, forming it into a ball. Form into an ovalish-ish log and place into a greased loaf pan. Let raise again for one hour. Once the dough has doubled in size, bake a 350 degrees for about 35 mins. Let cool in pan for five mins. Remove from pan and allow it to fully cool on a cooling rack before slicing.